FUCILE V.794 AIR SOFT CAL. 6 mm. FUCILE AIR SOFT V.888 CAL. 6 mm. FUCILE A POMPA V.766 CAL. 6 mm. FUCILE AIR SOFT V.844 CAL. 6 mm. 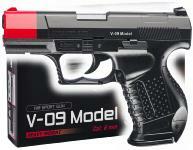 FUCILE V-8861 AIR SOFT CAL. 6 mm. FUCILE A POMPA AIR SOFT CAL. 6mm. FUCILE V-5A6 CAL. 6 mm. 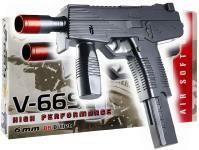 FUCILE A POMPA V-861 AIR SOFT CAL. 6 mm. 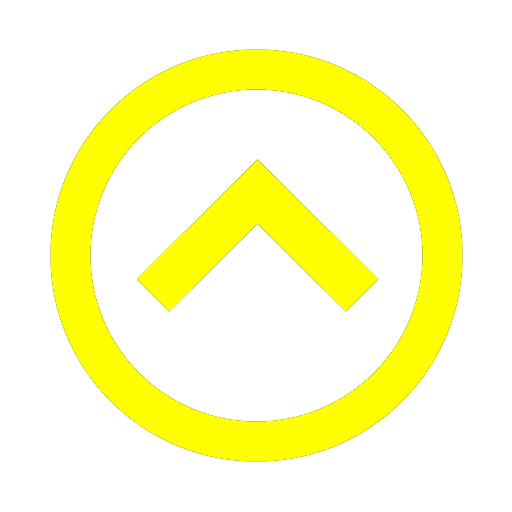 MITRAGLIETTA V-304M CAL. 6 mm. FUCILE UNIVERSAL CAL. 7 mm. FUCILE COMMANDOS CAL. 7 mm. PISTOLA V-09 MODEL CAL. 6 mm. PISTOLA PARABELLUM DELUXE CAL. 6 mm. PISTOLA V-08MODEL CAL 6 mm. PISTOLA V-103CX CAL. 6 mm. PISTOLA V-06 MODEL CAL. 6 mm. PISTOLA AIR SOFT V.144 CAL. 6 mm. PISTOLA V-863 LASER CAL. 6 mm. PISTOLA V.503 L CAL. 6 mm. PISTOLA V-816 DOUBLE CAL. 6 mm. 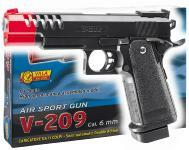 PISTOLA AIR SOFT V.220 SL CAL. 6 mm. PISTOLA V-744 AIR SOFT CAL. 6 mm. PISTOLA V-177 AIR SOFT CAL. 6 mm. PISTOLA V.511 SLX CAL. 6 mm. PISTOLA V-891 AIR SOFT CAL. 6 mm. PISTOLA V-765 AIR SOFT CAL. 6 mm. PISTOLA V-209 AIR SOFT CAL. 6mm. PISTOLA V-66 CAL. 6 mm. PISTOLA PARABELLUM CAL. 6 mm. PISTOLA PARABELLUM SILVER CAL. 6 mm. PISTOLA MK-9 CAL. 6 mm. PISTOLA COUGAR CAL. 6 mm. PISTOLA SUPER CONDOR CAL. 7 mm. PISTOLA CONDOR BLISTER CAL. 7 mm. PISTOLA MISTRAL SET CAL. 10 mm. PISTOLA COMPACT 22 SILVER CAL. 6 mm. PISTOLA COMPACT 22 NERA CAL. 6 mm.